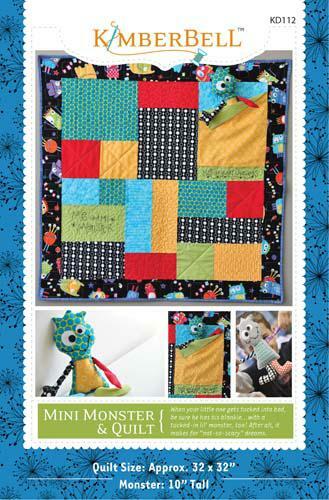 When your little ones gets tucked into bed, be sure they have their blankie... with a tuckedin lil' monster, too After all, it makes for "notsoscary" dreams Finished Size: Quilt Approx. 32" x 32". Monster 10" tall.